Orinj is designed to record, modify, and mix digital audio data. 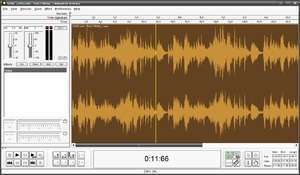 It aims at providing a very straight forward and easy-to-use environment for handling the tasks of a "home" recording session on a regular personal PC. Orinj should let you easily manage and modify the large accumulation of audio data in your recording sessions. It provides you with various common controls (volume, pan, dry and wet mix and envelopes, markers, grids) and effects (delays, reverbs, compressors, filters) as well as some not so common ones (alternative compressors and other). For security reasons, you should also check out the Orinj download at LO4D.com which includes virus and malware tests. Additional screenshots of this application download may be available, too.